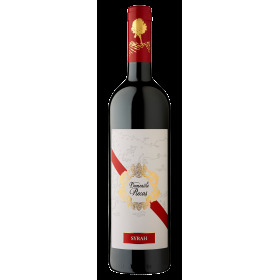 Cellar Murfatlar Conu ​​Alecu, Merlot Rose, Romanian wines online wine shop Romanian. DOC - CMD, wine with controlled denomination of origin-picked at full maturity. Merlot rosé wine from the vineyard demisec Murfatlar, Dobrogea, product range, Conu Alecu. This Merlot Rose is a fresh wine, with aromas of wild rose. Bouquet, round captures the generosity and betrays the same time, the perfect balance of fruity wine and tints sweet end. Serve slightly chilled, with roasts and barbecues.